Problems in the crawl space like rot, mold, structural issues will affect the rest of your home. 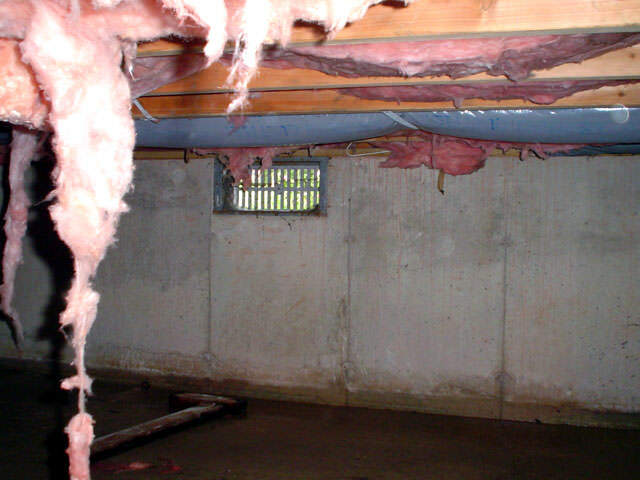 The good news is that Quality 1st Basements can permanently prevent these problems. If you're having a problem with your sagging, wet or even flooded crawl space, you've come to the right place. 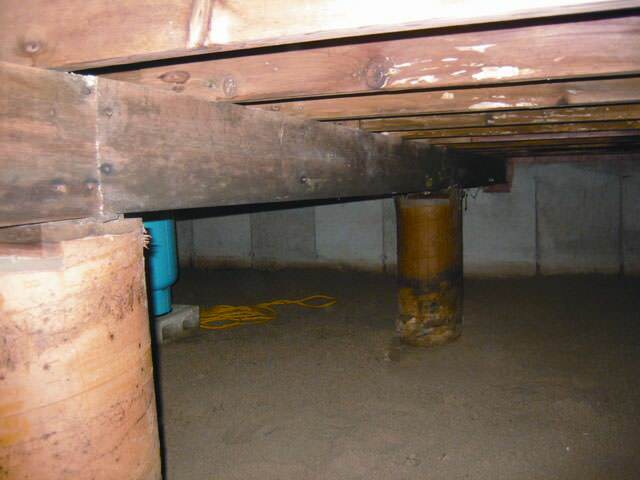 At Quality 1st Basements, we specialize in crawl space solutions for all crawl space problems. Our patented crawl space repair and sealing solutions offer a permanent fix for any and all issues you may come across. Marlton homeowner had a termite problem in his crawl space. He contacted an exterminator who also pointed out that he had mold in the crawl space and should have it encapsulate to prevent further mold growth. 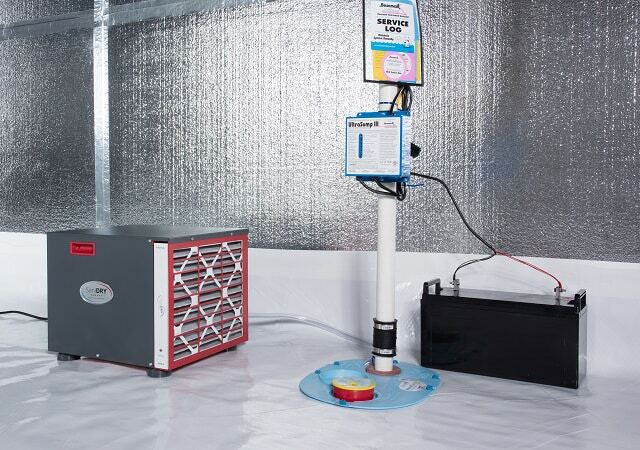 Quality 1st Basement Systems installed CleanSpace crawl space encapsulation system and a SaniDry crawl space dehumidifier to stop the moisture which will prevent further mold growth! We also insulated the foundation walls of the crawl space which will help keep it warmer in the winter and therefore reducing the amount of energy the homeowner will need in the rooms above. Quality 1st Basement Systems installed a SmartJack support system in this Haddonfield, NJ crawl space. The SmartJacks support the crawl space beams. Each SmartJack is custom fit to the crawl space height and is made with galvanized steel. The galvanized steel will never rust. Quality 1st Basement Systems protected this wet crawl space in Cherry Hill, NJ. The crew, led by Jesus Alvarez-Sanchez, installed CleanSpace vapor barrier. 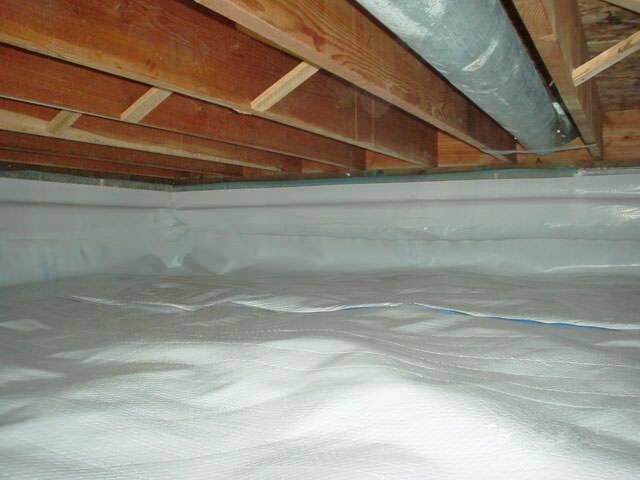 With the protection of CleanSpace vapor barrier, moisture and dirt stay out of the crawl space. This Cherry Hill, NJ crawl space needed a new airtight door. Quality 1st Basement Systems had the answer. Jesus Alvarez-Sanchez and his crew installed a crawl space door that will not rust or rot. Termites and pests will never get into the crawl space. A homeowner in Medford, New Jersey had debris and insulation in their crawl space that needed to be removed in order for their crawl space to be encapsulated. The homeowners also wanted support for their floor that was sagging above the kitchen and contacted Quality 1st for a solution. 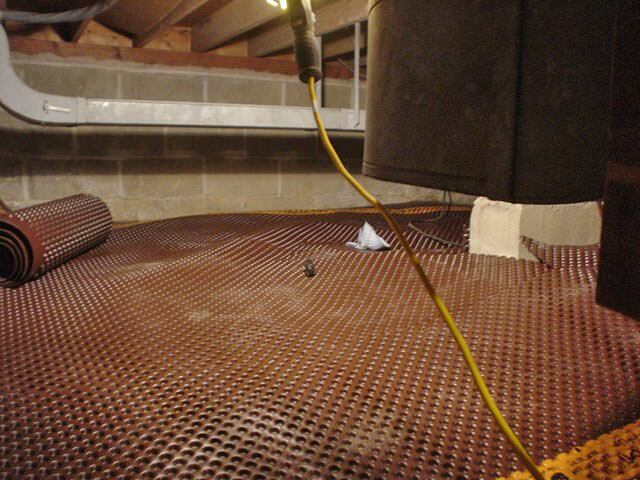 Our System Design Specialist inspected the crawl space and suggested a full encapsulation system be installed as well as SmartJacks to help fix the sagging floor above. A full encapsulation system was installed to keep water vapor and humidity out and make sure the crawl space stays dry and healthy. SmartJacks were installed to provide support to the sagging floor above and are also a permanent solution so the homeowners do not have to worry about their structure being unsupported. Whatever your issue, we have the products and experience that you need to find the best solution. Whether it's crawl space odors (musty, mildewy smells), moisture, humidity, mold, or pests, we can help your crawl space. Crawl space repair is a preventative measure. It prevents future unnecessary repairs, creates a healthier living space and saves you money on your utility bills. After you have encapsulated the crawl space you have dramatically increased your available storage space. We are your trusted crawl space repair contractor in Staten Island and all New Jersey. "I needed structural repair in my crawl space and chose..."
"Very happy with the job you compleated from a to z. I give..."
"I had to downgrade my installation at the last minute due..."
"The experience with your company has been wonderful. ..."
Our CleanSpace® Crawl Space Encapsulation system provides permanent moisture control and protection for any size crawl space. 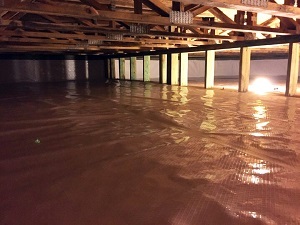 The products we use to encapsulate your crawl space were developed by the Basement Systems International network of waterproofing contractors. Basement Systems has been serving homeowners since 1987 and runs a full Research and Development department. This is where they constantly test and build the industry's best crawl space solutions. 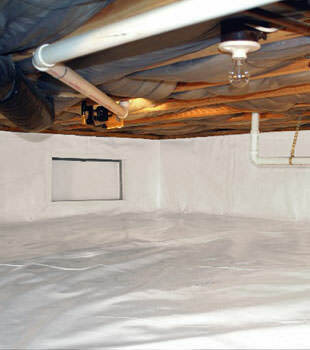 Basement Systems has over 30 patented products and provides permanent crawl space repair solutions. The products we install your crawl space come with a written warranty. Before work begins we will have one of our crawl space experts visit your home for a free on-site inspection. They will find the root of the problem and provide the solution. 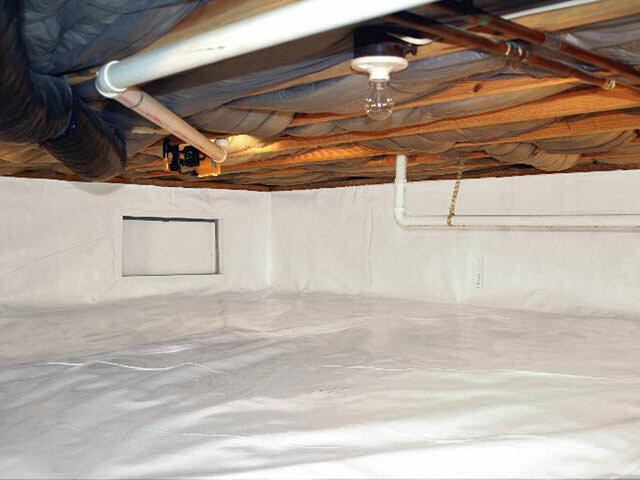 You will also receive a free, no-obligation crawl space repair cost estimate. The estimate is completely written out so you know the exact costs of the project. Before we meet we will even send you a free 88-page instructional book on crawl space repair so you can understand the issue and make the best decision for your home. We serve all of New Jersey and Staten Island, Jersey City, Edison, Staten Island, Clifton, Ridgewood, Trenton, Brick, Passaic, Union City, Essex Fells, Paterson, Woodbridge, Brick, Mount Freedom, Lakewood, Short Hills, Toms River, and nearby. At Quality 1st Basements, we specialize in crawl space problems of all types. Call us today to get started! 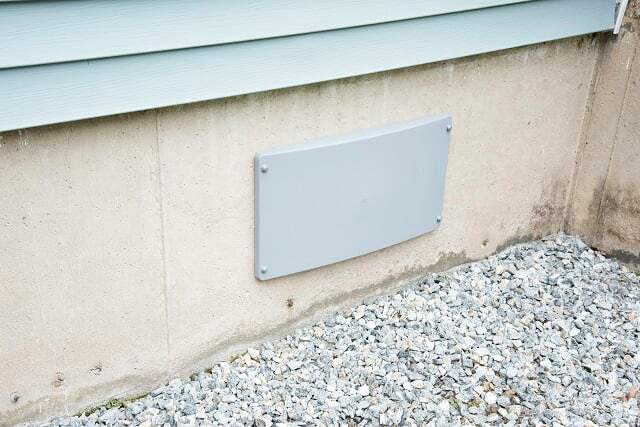 Get a FREE Crawl Space Quote!